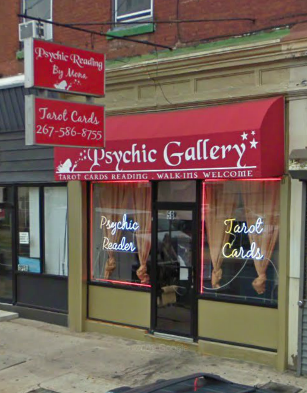 As I was walking down Arch Street in Philadelphia’s Chinatown, my grateful stomach laden with Malaysian delights, an intriguing storefront labeled “Psychic Reading by Mona” caught my eye. I joked with my girlfriend that I was going to go in and “learn my future,” but we kept walking. Then I got curious. After all, I couldn’t be a skeptic without first trying it, could I? Wondering to myself why it was necessary for this urban oracle to obscure her lair with opaque orange drapes, I anxiously walked in, somewhat afraid of mysterious “Mona” (the name on the sign) and whatever else lay wait inside. My fears subsided when good old Mona immediately quoted me the price of a psychic reading – which was a little bit expensive, but I was committed nonetheless. She then commenced with asking me questions about my family, friends, school, personal interests, and why I wanted to get my fortune told; it was an interview of sorts, without the case questions or technical questions. After I explained that I was studying Business and Materials Science at Penn in the prestigious Jerome Fisher Program in Management and Technology, Mona asked what type of career I wanted to pursue, to which I responded with uncertainty. Then she inquired, very unexpectedly, “Do you want to work in the medical field?” I said that I wasn’t planning to do so, given that I’m not pre-med or a bioengineer. Soon afterwards, I walked out, somewhat satisfied with how Mona was able to guess some of my personality traits, but disappointed that her crystal ball didn’t reveal a lucrative career in finance, consulting, or Materials Science in my future. Fast forward to spring of 2013, at which time I was given the chance to work on the Indego project at Parker-Hannifin Corporation’s headquarters right outside my hometown of Cleveland, Ohio. Parker-Hannifin is a multi-billion dollar ($15b market cap, $13b revenue), multinational, and highly diversified company engaged in developing motion and control technologies for a number of industrial applications, from Aerospace to Energy to Life Sciences. Although you’ve undoubtedly never bought a Parker product as they are mostly a B2B company, I can guarantee that you have used a product containing a Parker component. Within Parker, the Indego project was and still is a relatively new venture, having been initiated a couple of years ago with the goals of commercializing the Indego device and eventually building around it a new business unit focused on “Human Motion and Control” (I will refer to this as HMC from now on), a natural extension of Parker’s expertise in motion and control technologies. The Indego device, developed at Vanderbilt and in the process of being commercialized at Parker, is a powered exoskeleton designed to help people with mobility impairments (especially paraplegic adults) to walk. Indego is not just a really cool technology (it was one of the ten winners of Popular Mechanics’ Breakthrough Award for 10 Innovators Who Changed the World in 2013); more importantly, Indego brings within reach the prospect of helping millions of people become more mobile and independent, motivating everyone on the team to get the product out there as soon as possible. As an intern working for 12 weeks on the small four-person business development team, I took on a small role in building a product line that will one day significantly improve thousands of lives. I really enjoyed being a part of such powerful value creation, especially alongside some extremely talented and intelligent engineers and business developers. After first spending a couple weeks getting familiar with the medical devices industry, and more specifically with HMC-related subsets of that industry, I was ready to start organizing and analyzing my research and (I hoped) contributing meaningfully to the team’s efforts. 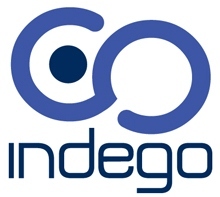 As the Indego team worked with executive management to determine 1) how to go about bringing Indego to market and 2) where in the HMC space to expand (prosthetics, other powered orthoses, etc. ), I was helping out by gathering, organizing, and analyzing some of the underlying research as well as helping build presentations, both of which drove key corporate decisions. I actually used a bit of Wharton core curriculum knowledge (marketing, finance, management) to conduct industry and competitive analysis. Furthermore, a bit of luck stuck me on the team at a time when a lot of exciting events were happening; consequently, I ended up having the privilege to meet the CEO, CFO, CTO, and other high-ranking officers and talk to them informally about what I was working on. Overall, it was a very rewarding experience, especially working in a “hybrid” environment – Indego/HMC was a sort of startup within a large corporation. This unique situation provided the best of both worlds. In retrospect, I consider myself extremely fortunate to have been given such a brilliant opportunity. As I was telling my girlfriend about my summer experience, she asked, “Didn’t that fortune teller predict that you would work in the medical field?” Up to that point, I had forgotten about Mona’s prediction, but this reminder blew my mind. The moral of the story is that there are plenty of amazing internship opportunities outside the typical finance or consulting track, and if you’re uncertain about where to find them, go ask Mona. Matt is a current M&T student in the Class of 2015 from Westlake, Ohio. He studies Materials Science within Penn Engineering and Finance in the Wharton School.